It's a Boy! During the time leading up to the birth of their newborn baby, expectant parents have a number of months to research a wide variety of names and their meanings and select the perfect name for their child. In many instances, sonograms can determine a baby's gender about halfway through pregnancy so that parents-to-be can focus their name search appropriately. The choice of a name may involve many factors and parameters. Some parents choose the name of a favorite family member or ancestor. Others select an ethnic or religious origin name. Still others may wish to give their baby boy an unusual or unique name, use the name of a famous person, or even select a name which might improve his career prospects! When naming your child, consider the name's length and how it will sound with your last name. Select a compatible middle name. Be aware of possible negative nicknames and consider how the name may be regarded by peers. Is the name also used as a girl's name or is it confusingly similar to a popular girl's name? Whatever your name selection criteria, this website will help you begin making a list of potential names for your precious bundle of joy! This section features rank and usage data for the top one hundred names given to baby boys in recent years. 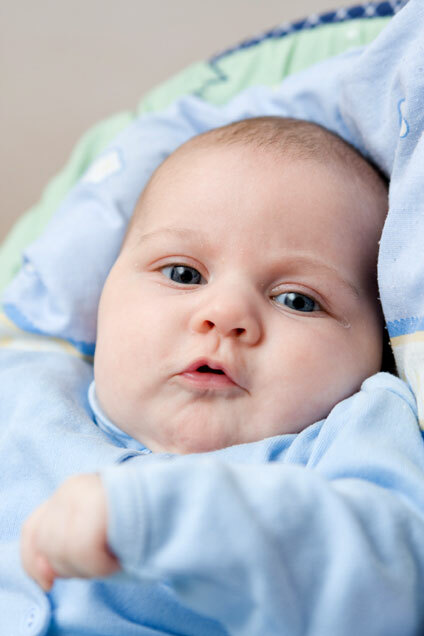 Here you will find the most popular baby boy names during the last year, last five years, last twenty five years, and last one hundred and twenty five years. 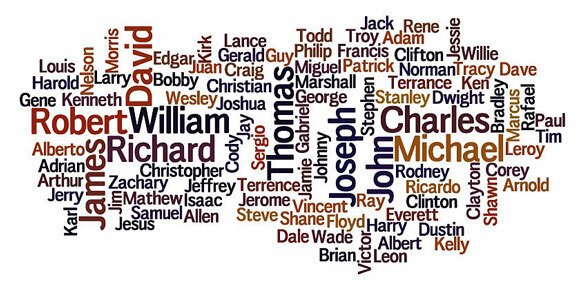 You can use this data to find trendy, contemporary, and traditional popular names for boys. This section features popular ethnic first names and their name meanings or derivations. Many American families have ethnic roots in Europe and elsewhere, and parents often give their children ethnic names in memory of their family heritage. Here you will find rankings and usage statistics for popular ethnic boy names in our database. This section features usage statistics for boy names starting with each letter of the alphabet. Here you will find detailed statistics and trends for each boy's name in our database. You can use this information to find a special or unusual name for your baby boy! This section features information about specified length boy names. You can use this information to find a short first name that fits well with a long last name or to find a unique and distinguished first name that may work well with a shorter last name. Baby-Boy-Names.org features detailed pages showing origins, statistics, and trends for over 3,000 common and unusual boy names that have been used in the USA during the last 125 years. The data is based on United States Social Security Administration counts for the one thousand most popular names given to baby boys each year between 1880 and 2004, inclusive. Data is most comprehensive after 1936, when Social Security cards became more generally required. See this Social Security Baby Names portal for more information about the baby name data shown on this website. Many expectant parents prepare a nursery for their baby and furnish it with baby products that coordinate with their home decor. In the USA, especially since the 1940s, the color blue has traditionally been used for baby boy clothing, toys, and accessories. Baby-Boy-Names.org is a Chosen Sites™ baby reference source. About Us.